Summer is here! No matter what your plans are hopefully you already have housing arranged. If you are staying in Chapel Hill trying to figure out what’s next or starting an internship or job in another city, your housing situation might involve a roommate. This roommate could be a person you barely know or have never met face-to-face. Living with a stranger can be convenient and a great way to develop a new circle of friends. However, a summer roommate can be very different from living with someone for an extended period of time. Because the situation is supposed to be temporary, either or both parties may not feel the need to get to know each other and therefore may not vocalize their expectations very well. Most of the time this can be ok because summer schedules are busy and you may not even see each other that much. However, because summer schedules can be lax and sporadic things can go wrong or get annoying. If this happens, a lack of communication from the beginning and an unclear understanding of how the other person handles conflict can make life stressful. Understand how the security deposit works. If there is damage to the property will both or all roommates lose their security deposits or just one person? Will the check be held or cashed? Take pictures of everything to document the move-in conditions. 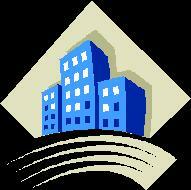 Contact the property owner directly and make sure they know you are there. Get a copy of the original lease. Make a copy of everything you sign. Know how you and the roommate(s) will split the cost of utilities. Parties and what will be served at the parties. If you are uncomfortable with what is being planned speak up and offer an alternative that you are comfortable with. Do you have suggestions for living with someone you do not know very well during the summer? Leave a comment below, Tweet us @UNCCampusHealth, or share your thoughts on our Facebook wall!